Are you sick of reading top 10 PSP sleeper hit lists and coming across games you’ve played before and which have obviously been popular? Well you’re in luck!, this list is not copy pasted from IGN top 10 to make the fan-boys squeal and increase revenue streams, this is 3 really good games that you’ve not heard of. Seriously. Disclaimer: I’ve spent at least 2 months playing each of these on and off on the PSP, and that’s where the recommendation comes from. These are sleepers in what I consider to be in my top 10 games for the PSP. Bear in mind, although I really like JRPGs I rarely have the spare memory space to keep a arching storyline in mind because of work, so I tend to avoid those these days. I also like games which I can switch on and play for 10 minutes or hours as I choose, with few if any cut-scenes (I think they detract from the immersion most of the time). Imagine Just Cause 2 with metal gear solid creeping and sneaking and ninjas. That’s shinobido. And its awesome. Seriously, get Shinobido if you like ninjas as its an amazing game. 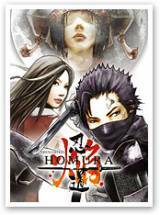 In my opinion, its the best ninja/sneaky game on the PSP (there are more, so its not just the best from a set of 1 😉 ). Ignore the bad graphics as the game is all about the gameplay and awesome sound effects. I love the rooftiles and level complete sounds. Best part: Seeing a guard in a watch tower, you slingshot up when he’s not looking and sword him, then slingshot down onto a rooftop without being seen at all! 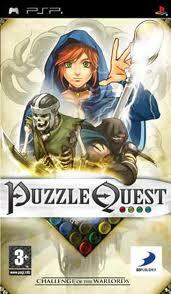 Based on the PC Dungeon Siege franchise, this is the PSP version of the game system. and its awesome too! Its like Diablo, you kill enemies, pick up cool armor, level up your character and follow the VERY long beautifully crafted story. 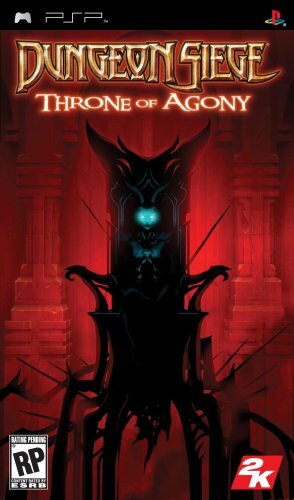 I got over 40 hours out of dungeon siege:throne of agony and it deserved every second of it. You get a “helper” character too who also levels up. 3 base characters and 3 helper types, with branching “jobs” style system too. Covers all the bases, challenging, cool story and not grindy. Best part: The immersion. Seriously, the story and the music are just awesome. Its a great game. No sequel due to piracy. I had the Japanese version which came out a long time before the US version (yay hipster nerd!). You get a customized gladiator, buy armor, weapons. There’s 2 handed weapons, shields, armor, spears, swords, dual wield. Boss fights that are just challenging enough and very nice play controls. I hear the US version came with some improvements on the game, but I’d already started with the jap version and the saves weren’t compatible so I never got a chance to try it out. Also, there is elephant fighting. Best part: Entering a fight with no armor and playfully knocking the helmet off the big bad boss with your shield+spear combo. 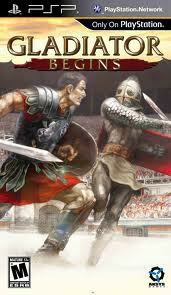 Its exactly what you would want froma gladiator game. EXACTLY. Honorable mention for sheer amount of fun I had with it goes to Puzzle Quest (I know its popular, but it is a very good game so I’m putting it here as a shout out for anyone who missed it). Did I miss any great ones? This entry was posted in Technology and tagged games, psp, rare, sleeper. Bookmark the permalink. I remember Shinobido! Bloody hard that one, good catch. Thanks for the list.